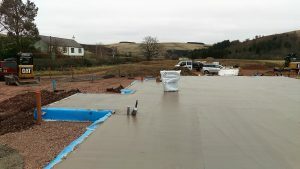 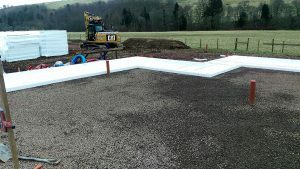 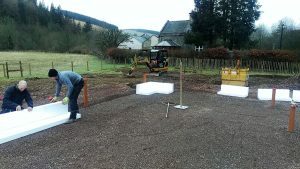 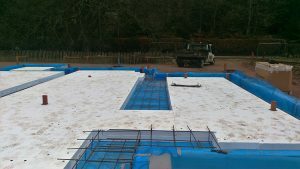 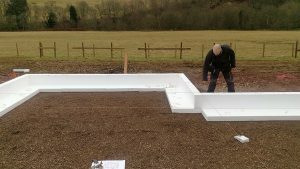 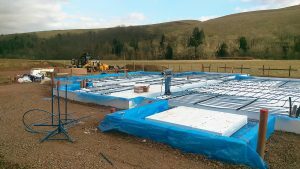 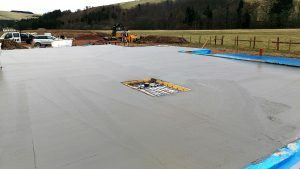 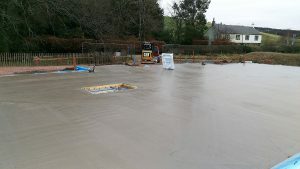 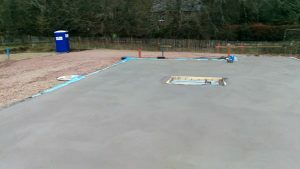 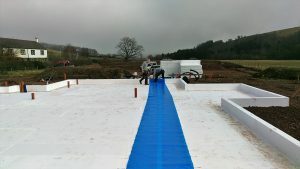 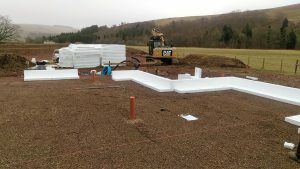 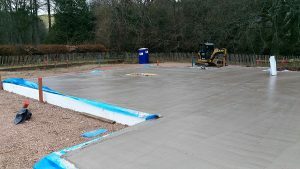 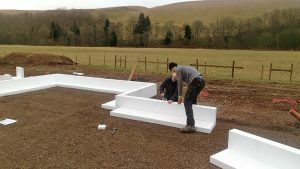 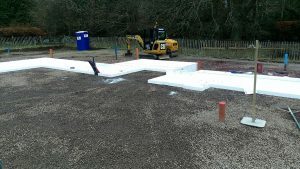 The plot was on a hillside with spectacular views and with some help from local ground workers the ground was prepared for AFT to do the fully installation of the raft. 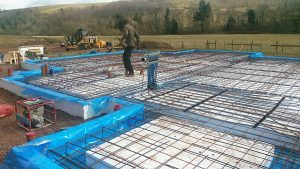 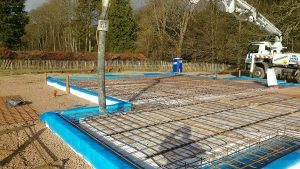 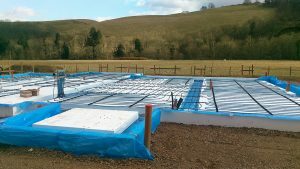 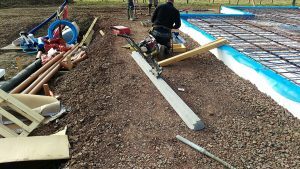 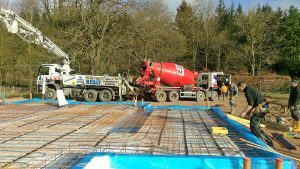 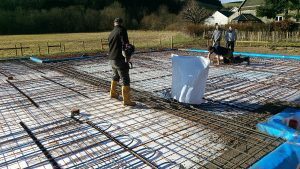 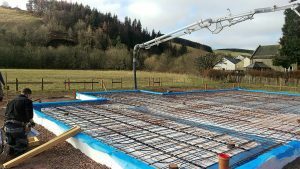 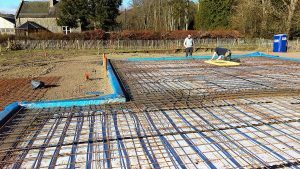 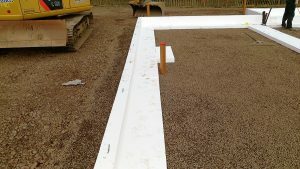 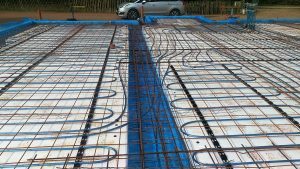 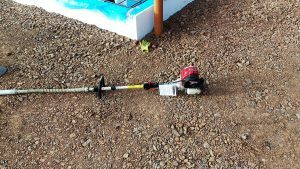 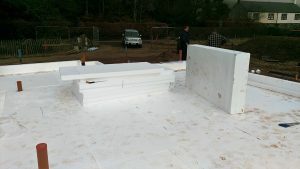 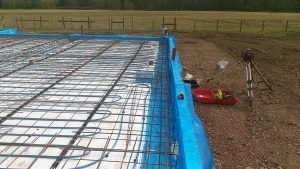 since Keith is devoted to using an insulated foundation he specified Groundshield. 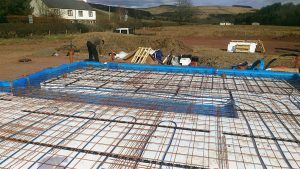 In Scotland all structural designs needs to be SER. 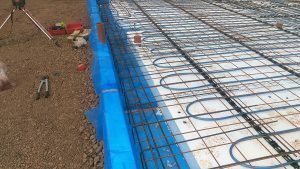 This is a way for the building authority to be sure that a 2nd Engineer has looked at the design and calculations and signed them off. 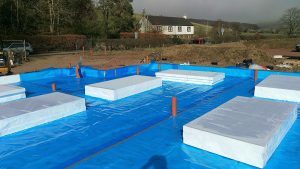 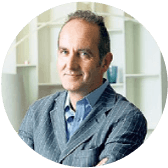 In this case it was Christie Gillespie Consulting Engineers Ltd that did the SER. 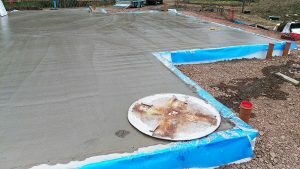 AFT and Christie has worked on many projects in the past so the AFT system and design was not news to them. 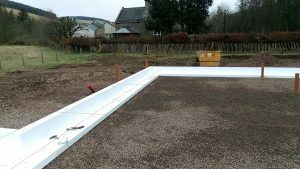 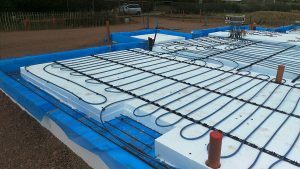 After getting the final ok we set out to carry out the installation with the help of Malcolm Horsburgh MEH Builders and Joiners Ltd. 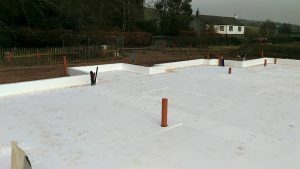 They have installed Groundshield in the past so this joint venture with AFT made for a smooth installation.